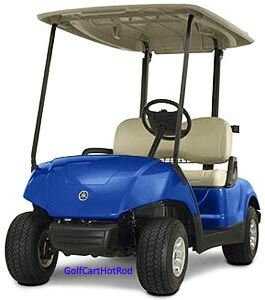 A very common repair issue with EZ-Go TXT golf cart models is replacing a bad or damaged Forward / Reverse switch. This applies to 1994, 1995, 1996, 1997, 1998 and the rest of the manual shift models. The PDS models use and electronic switch and are not addressed in this repair video. 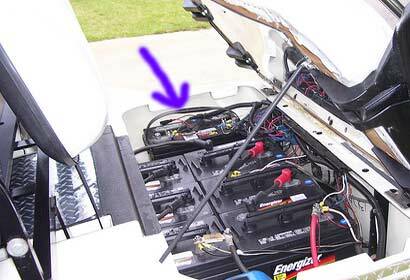 The wires connecting to the Forward/Reverse switches of EZGO TXT Golf Carts can melt down easily when over heated. The wire ends often need replaced and sometimes the wires need extended after they have been cut down. Allow for the possible extra time needed to complete the additional step. Thanks to Tuber ‘Kevin’s Golf Carts’ for the great repair video and the screen grab. You can find replacement EZGO Forward/Reverse switches here at a good price with quick shipping. How Much Does My Yamaha Golf Cart Weigh ?